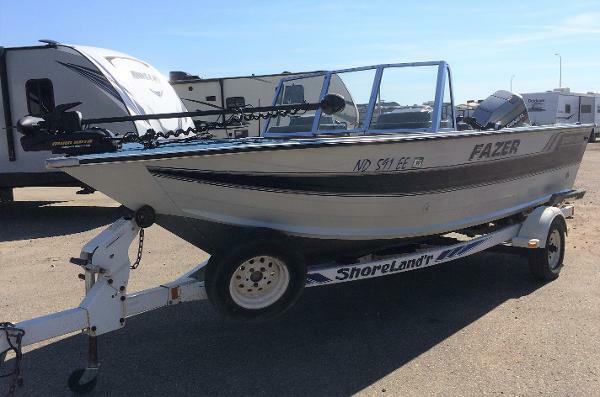 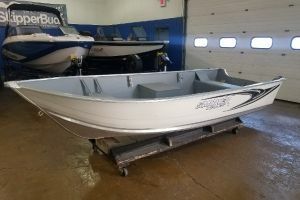 This is a NEW boat with FACTORY SALE pricing! 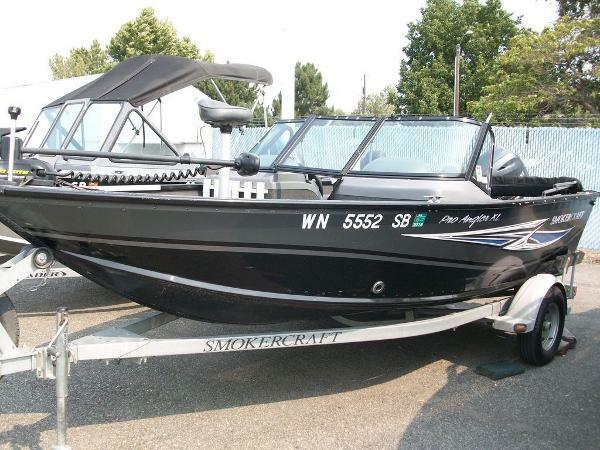 MSRP is $12,274, FACTORY SALE PRICE is $8,995! 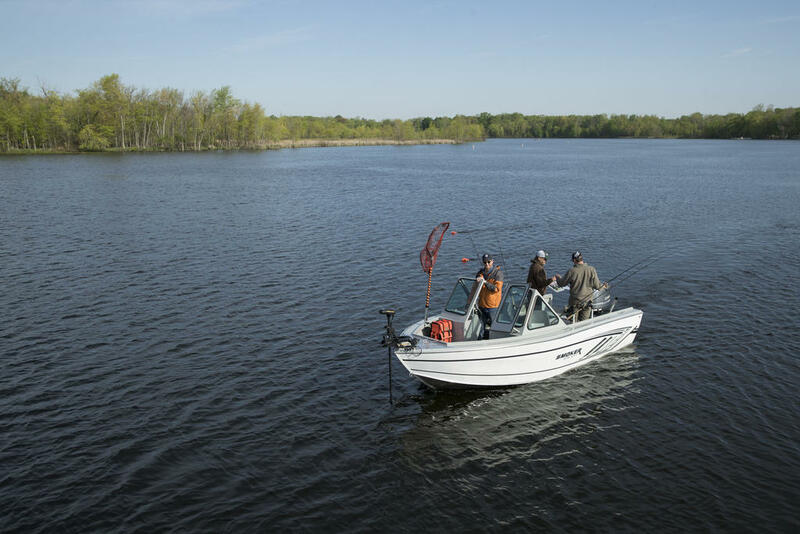 Don't wait, call our Hudson store today! 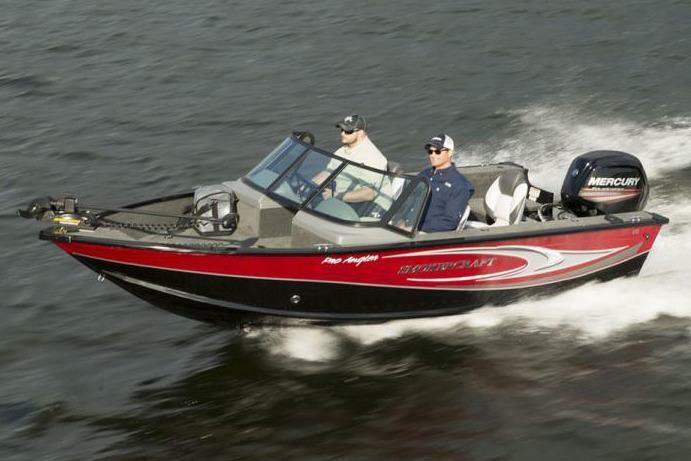 Who says smaller boats need to be short on features? 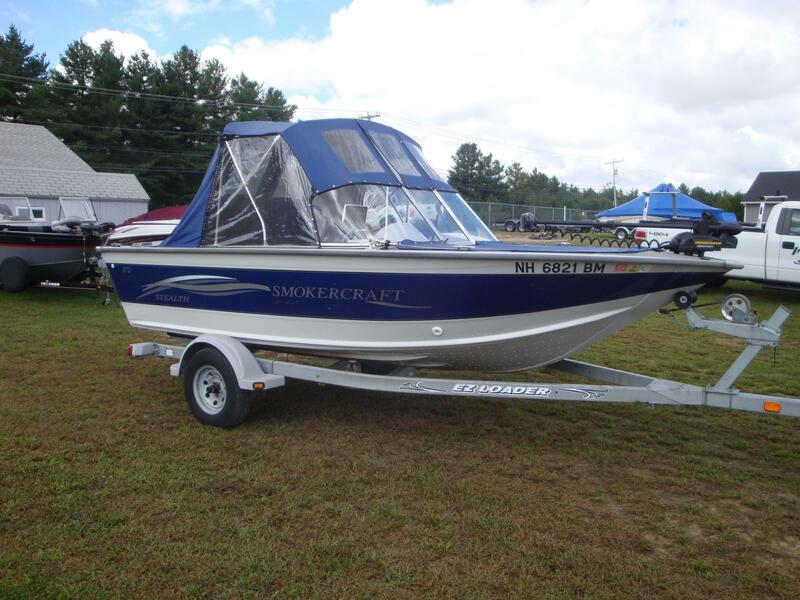 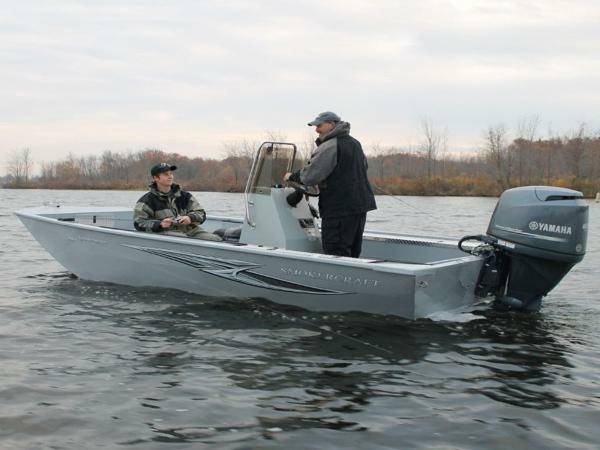 Smoker Craftâs Angler series offers every essential in an easy-to-trailer package that fits in most standard garages. 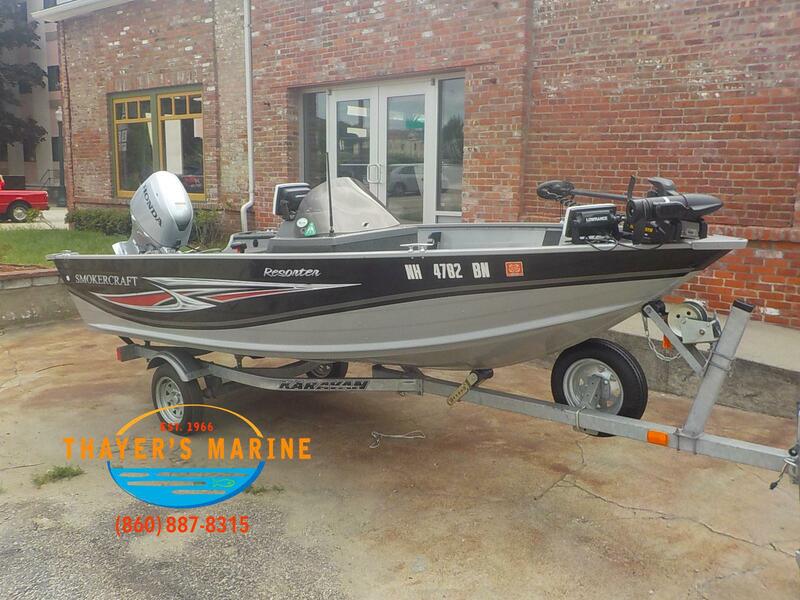 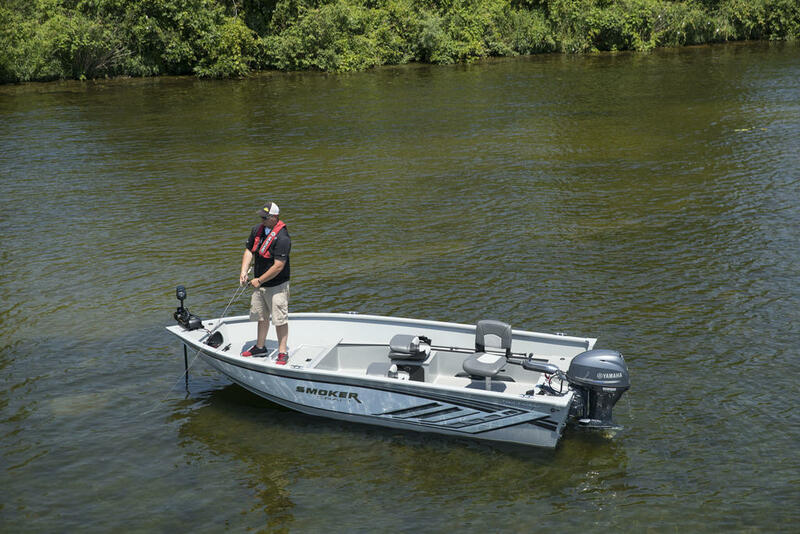 Available in a choice of three hull lengths, each Angler model comes with two wood-free fishing seats, a raised bow casting platform complete with in-floor storage and our legendary FreshCatch aerated livewell system, lockable rod storage and a Humminbird PiranhaMAX4 fishfinder â“ all as standard equipment.